Mutual fund offers growth plan and dividend plan option for the same funds. The portfolio in which the fund invests is the same and the only difference is the treatment of gains. In a growth option investors do not get payout in the form of dividend, instead this amount is reinvested in your fund. This increases the NAV of the fund. As there is reinvestment, the returns get compounded overtime and increase you returns in long term. Debt mutual fund and fixed deposit are good investment avenues for those who do not wish to invest in equities. While a large number of investors still prefer fixed deposit as their default investment choice, debt mutual fund offers good alternative. SIP vs. Lump sum – Which is better? Mutual fund is increasingly becoming preferred choice of investment for many investors in India. It offers various choices and benefits to suit the needs of different investors. 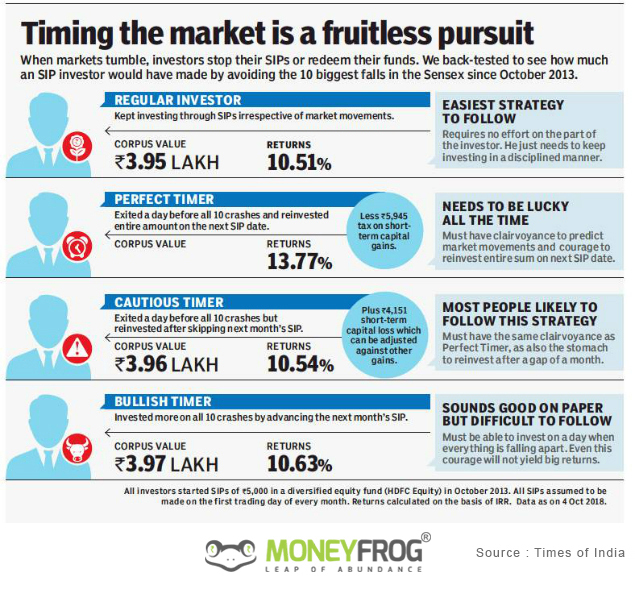 Mutual fund investors can invest through two ways viz. lump sum investment and systematic investment plan (SIP). There are lots of choices when it comes to where to invest. Some may decide to play safe and invest in FDs while some are willing to take risk and invest in stocks. Recently one of the ad campaign that has caught everyone’s attention is the one that says `Mutual Fund Sahi Hai’. 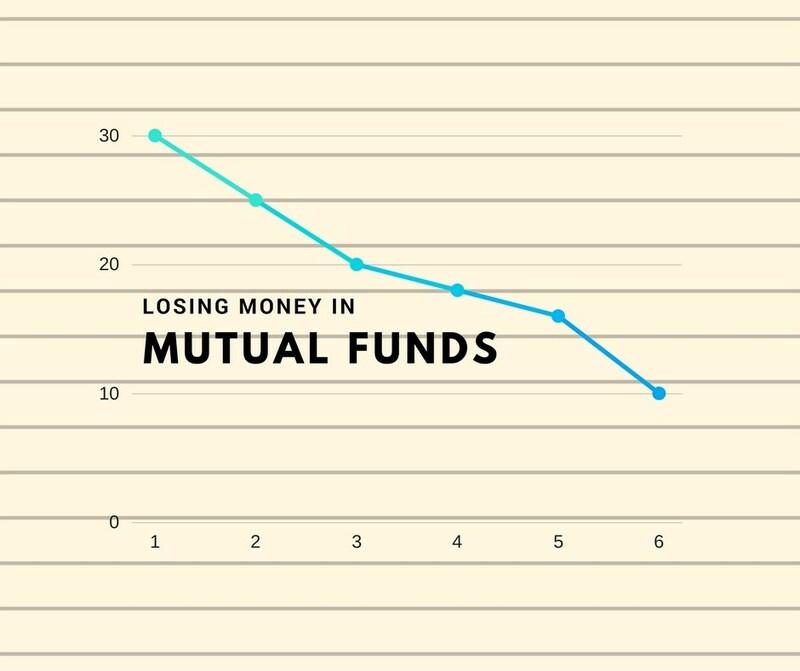 So is mutual fund really the right investment for you? Read on to know about various features of mutual funds and decide yourself. When you receive your salary every month, just saving is not enough. That money has to be invested so that it can earn you more money. A Systematic Investment Plan (SIP) also called `the good EMI’ helps you do just that. SIP is a method of investing a fixed sum, regularly, in a mutual fund scheme. It allows an investor to buy units regularly on a specific date of the month. If you invest through SIP it can work wonders for your financial goals. SIP or Time the Market? The way market is behaving since last six months, most of us with running SIP’s, have this question, what to do next? Continue, Stop, Reduce or Increase SIP? Monthly Savings: where based on cash-flow, savings are parked in the allocated equity fund, else same will remain in the bank savings account (earning just 4/6%) till the time one decides, or best, will get consumed in some lifestyle purchase. Cost Averaging: idea is simple, no one can predict the market, therefore the best time-tested philosophy, is to make the best out of the market, i.e. to follow a disciplined approach on monthly investment, irrespective of the market movement (ups & downs of the market), and average out the cost, by buying at all levels. 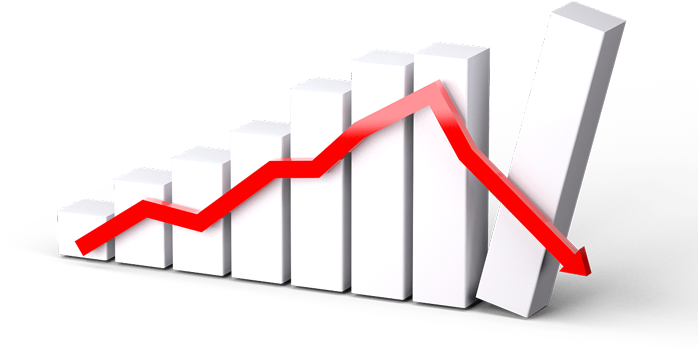 Mid-cap & Small-cap downfall – What do I do now? Mid-cap & Small-cap stocks (& mutual funds) are witnessing a major correction since budget in Jan-18. One of the reason is the SEBI’s new guideline on stock categorization, resulting in Mutual funds correcting & realigning based on new guideline. On the other hand, NIFTY is close to an all-time high now, but what one needs to understand is that, historically we have witnessed these scenarios again and again, i.e.a surge in the market over a period of years, after a massive plunge. Can You Analyze My Mutual Fund Portfolio? Is it Right Time to Opt for Large-cap Funds for 3-4 Years? So today I am sharing summary of the answers I have already posted on Quora. It’s great to see that you are clear on your investment objective. But what is not logical, is the fact that; you want “Advisory Services”, which is free of cost, and that too, thru an open forum like Quora. That’s the biggest mistake you are undertaking, for your savings. First, Direct plans are only meant for people, who can do independent research on their own, i.e. don’t need any guidance or help whatsoever, whereas you are seeking help.